A business visa in India is issued to a person who would like to make a business related tour to India. If your visit to India is connected to making sales or establishing contact with an Indian business on behalf of a company situated outside of India, you are eligible to apply for this category of Indian visas. The issuance of business visa is subject to the business requirements rules in India. Here are important facts about business visa in India. A business visa is usually valid for 1 year or more with multiple entries. US citizens are eligible for 5-year or 10-year multiple-entry visa. 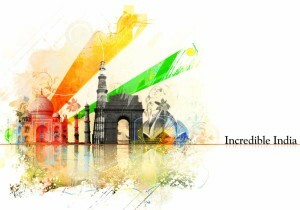 But the duration of stay in India for each of the visits is limited to 6-months. If a foreign businessman is interested in setting up a joint venture in India, he or she can apply for a multiple-entry business visa for 10-years. The duration of the visa will begin from the day the visa is issued and not from the day of entry into India by the particular individual. There are certain conditions that are taken into account when a business visa is granted. The applicant of the visa should be a person of assured financial standing with expertise in a specific field of business. He or she should comply with many other requirements such as paying taxes and other liabilities in India. The applicant should not be visiting India for businesses such as money lending, petty trading or full time employment in the country. The visit should not involve any payment of salary in India. The applicant should be a permanent resident of his/her country for more than two years if they plan to apply for Indian visas. These conditions can change from time to time as per the rules and regulations in India. When an Indian visa is issued for a period of less than five years, it is extendable for maximum period of five years subject to the following conditions. The sales turnover from the business activities of the individual requesting the extension should be not less than Rs. 1-crore per annum. The first extension is usually granted by the Ministry of Home Affairs. Further extensions will be granted by the relevant state governments. If the extension is denied by any means, the individual should leave the country once the validity of his/her current visa expires. Information about the new e-Tourist visa can be found here.